Every once in a while a trailer comes along that spells out the entire movie, plot beat by plot beat, thus saving you the trouble of going to see the actual film. There, now you know everything that happens, in order, in this movie. Now, I’m not suggesting anyone should skip two hours of Blake Lively in a swimsuit, but in case you have something better to do on June 29, you won’t have to feel guilty about missing it. Japan’s New Godzilla Movie Looks Intense! The original home of Godzilla, Japan’s Toho Studios, is getting back into the kaiju game by releasing its own comeback vehicle for the King of Monsters, Godzilla Resurgence. Check out the international trailer (which features only music — no dialogue, dubbed or otherwise) here! 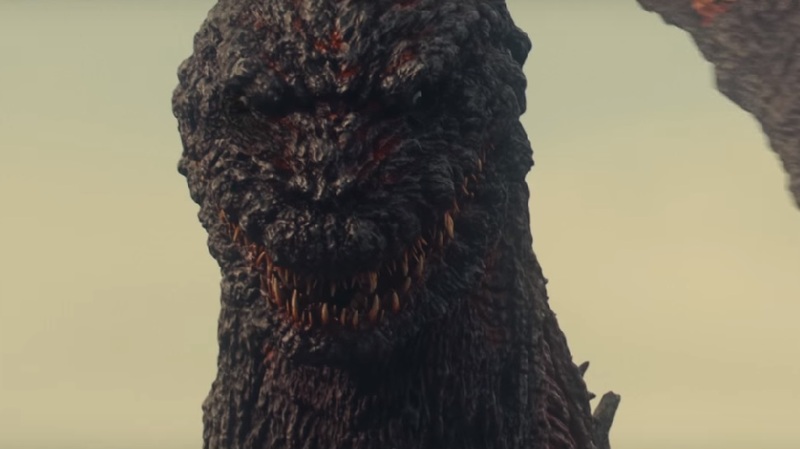 This will be Toho’s first Godzilla movie in over a decade — the studio licensed the creature to Legendary for 2014’s Godzilla, directed by Gareth Edwards — and it certainly looks like a return to the spirit of the 1954 original, in which Gojira was a rampaging force of nature that had to be destroyed. ‘Roll D120 to Save Against…’ Wait — What? Meet the D120! That’s right, it’s a 120-sided die, and it could be the answer to all your tabletop RPG needs. It certainly is the largest die I’ve ever seen and, according to the inventor, it’s the largest anyone ever will see! Made by The Dice Lab, each of the 120 faces is an elongated triangle, and features the most faces possible “on a mathematically fair die.” I don’t get math — I agree with Barbie: “Math is hard!” — so I figure there must be something about die with more sides that causes them to roll unfairly or something. If there’s any doubt about what was rolled, simply spin the die in place; the uppermost number is the one that doesn’t move. The opposite faces add up to 121, and the numbering has been calculated for “perfect numerical balance” all around the die — meaning the numbers are spread evenly, so big numbers aren’t clumped together. It can also fill in for any other size die/dice by doing some kind of calculation. Or possibly by magic. 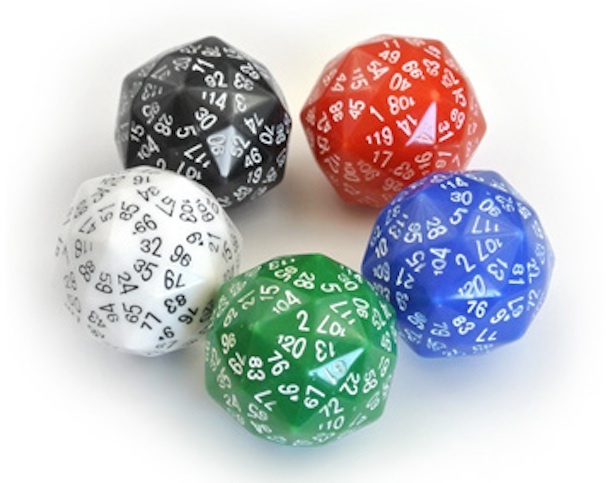 You can get D120 (as well as other iterations of gaming dice) from The Dice Lab’s merch page for $12 each or five for $50.